Following up on London Men’s Fashion Week and Pitti Uomo, Milan Men’s Fashion Week, that took place from 13 to 17 January, has come to an end. During these five days we saw incredible proposals for menswear Fall 2017 and successful debuts. 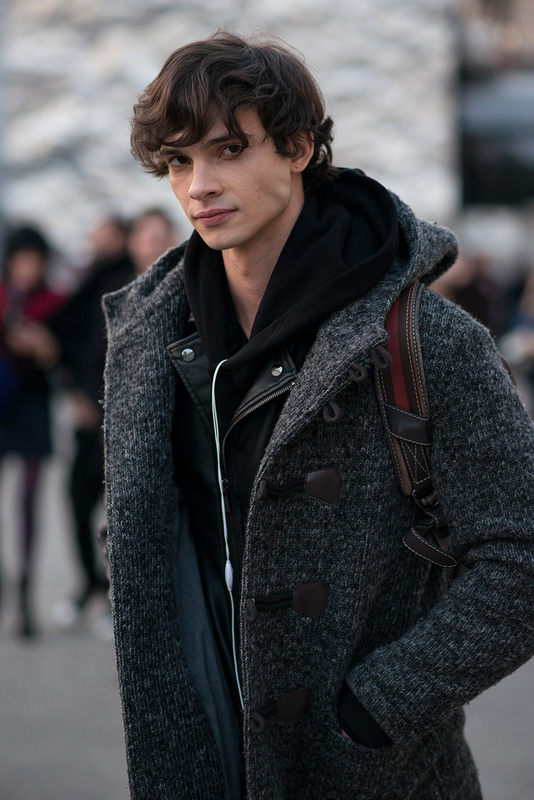 But what happened on the streets outside the fashion shows? 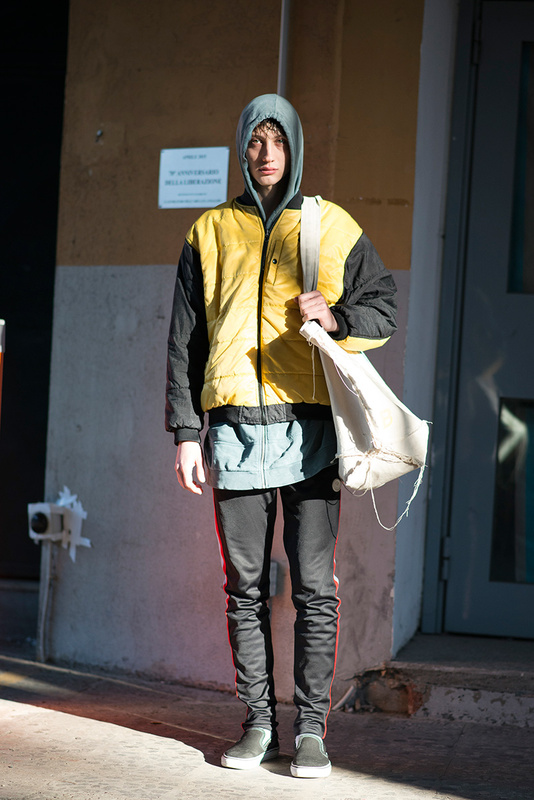 Far away from the iconical dandy-ish Pitti style, in Milan we saw a variety of trends coming straight from last year runways in terms of clothing and styling and the main tendency was to play with sportswear and big brand’s names. The trend of the “fashion hipster” we witnessed the past seasons has now become established and in Milan it was visible and translated into naturally ironic (and iconic) pieces. Gvasalia and Rubchinskiy’s attitude in style and aesthetic have been absorbed worldwide and garments such as bomber jackets and hoodies have become the new “luxury”. 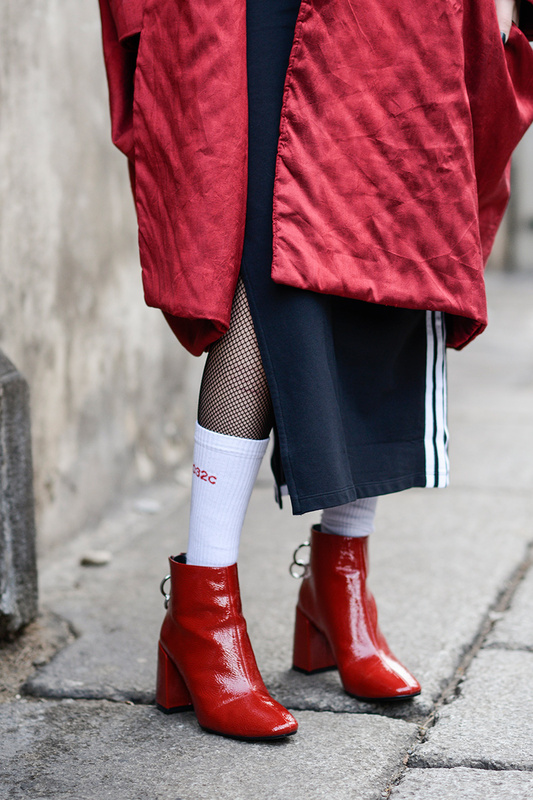 We saw oversized outerwear pieces and down anoraks styled according to contemporary guidelines and tracksuits worn under long coats. The “dress to impress” motto is still there, but the rules have changed. Original styling choices went along with more classic ones. Lots of fur for the ladies and good-boyish outfits for the men. View the best street style outside Etro, Cedric Charlier, Salvatore Ferragamo, Neil Barrett, Dolce & Gabbana, Missoni fashion shows and many more..